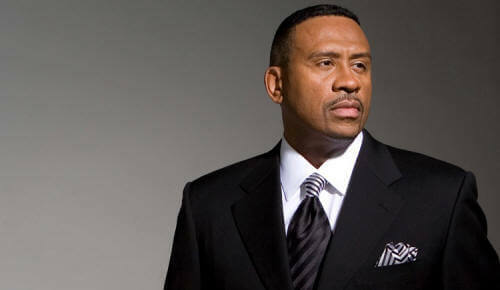 Back in December around Christmas time, Marc Clarke exited his morning show co-hosting gig at 88.9 WEAA in Baltimore. We suspected his next move was going to be pretty big. Well working with your wife every afternoon at top rated Washington, D.C. radio station 96.3 WHUR is pretty big. Marc and his wife Allison Seymour, who is well known in the DMV as the morning news anchor on Fox 5 (WTTG) will team up for afternoons. We reached out to Marc to get his take on working at WHUR once again and working with his wife on the radio. How did this all come together and what are your thoughts on being back on the air at WHUR? I think people saw us on Facebook live doing our thing and enjoyed the chemistry...it's amazing to be back on WHUR such a legendary station and really a unique, proud history. Great to be a part of it. What do you hope to bring to the afternoon drive listening audience? Local personalities over syndication seems to be winning in major markets...thoughts? A great local show should always beat a great syndicated show period because the listeners can participate and talk about things specific to the market. Allison Seymour will continue with her morning anchor duties at Fox 5 and the new show starts on Tuesday. Local hometown favorites Allison Seymour and Marc Clarke are joining WHUR 96.3FM as the new hosts of afternoons on the flagship heritage station of the Howard University Radio Network. 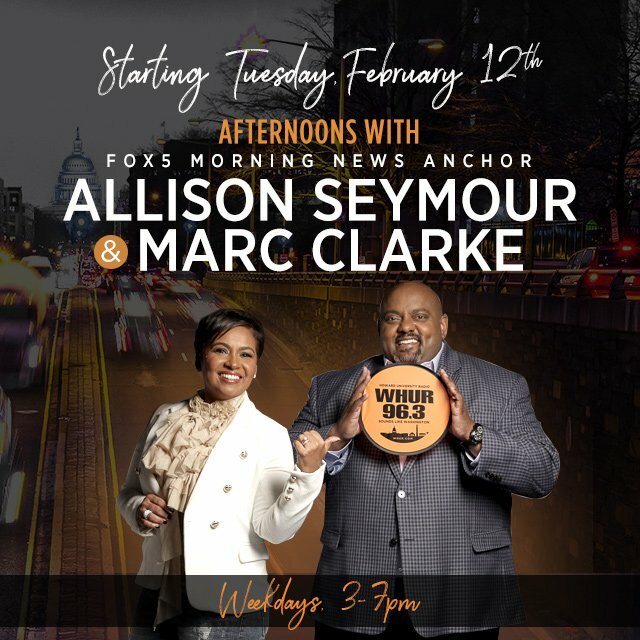 “Afternoons with Allison Seymour & Marc Clarke” is set to debut Tuesday, February 12 at 3p.m. The husband and wife duo is no stranger to the Washington, D.C. market. Seymour is seen weekdays on “FOX 5 Morning News” and Clarke has been a fixture on local radio for more than a decade, including at WHUR. “Afternoons with Allison Seymour and Marc Clarke” will be a mixture of music and topical conversations, sprinkled with celebrity and local interviews; buzz worthy News; pop culture; and lots of giveaways. “We know the commute home in the DMV can be hectic between the traffic and just trying to juggle the work life balance. Our goal is to make afternoons a smoother transition for the DMV with a fun, yet real and engaging show, each and everyday,” said Seymour. Seymour is a native Washingtonian and this is a perfect chance for her fans to get a double dose of their homegrown favorite. Seymour will continue to anchor Fox 5 Morning News daily and then join her husband in the afternoons on WHUR. “I am so thankful to the management team at Fox 5 for allowing me to pursue this opportunity. “This new show offers us the opportunity to be live, local, and a voice for the DMV in the afternoon. We look forward to a very successful show and taking over DC afternoons with Allison and Marc,” said WHUR Interim General Manager Sean Plater. I don't like this show. I guess Satellite radio it is.